The founders of Bearclaw Coffee Co. served their first cups from a log cabin in a Michigan cornfield. Our mission is the same as its always been: make customers feel like family and serve the highest quality coffee. Starting with the creation of our Mobile Coffee Fleet, we have been on the forefront of mobile coffee and event catering services for over a decade. Now customers can enjoy a cup of Bearclaw Signature Blend at their favorite music festival, corporate party, private event, college football game, or at any of our locations. Say no more. We're on our way. 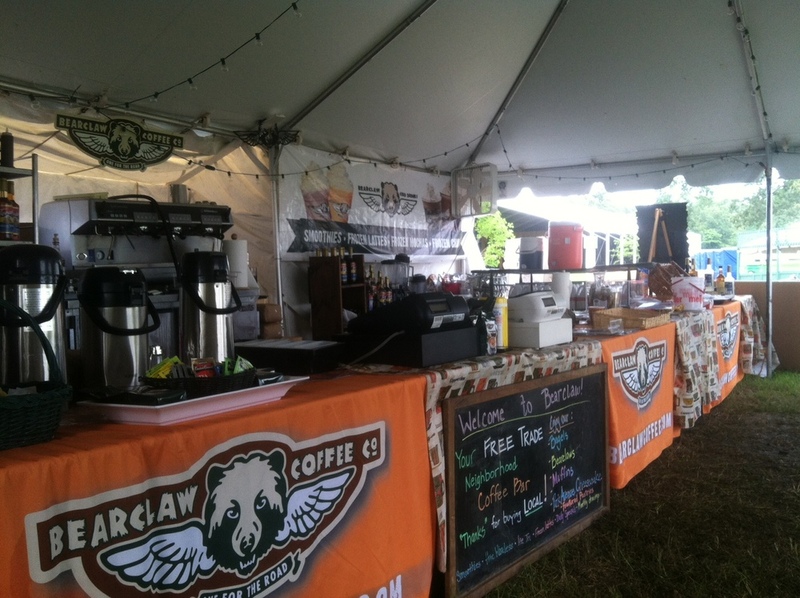 Bearclaw is on the move and ready to serve your next event. Where can you find Bearclaw this week? In our commitment to sustainability, we only use 100% compostable World Centric cups, lids, and sleeves. This means you are enjoying Bearclaw from cups made from plants, not petroleum. As a bonus, for every cup purchased, World Centric donates 25% of their profits to grassroots social and environmental organizations.